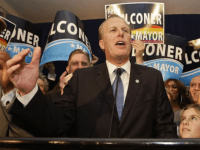 San Diego’s Mayor Faulconer for California Governor? San Diego’s moderate Republican mayor, Kevin Faulconer, may make a run for Governor of California in 2018 against a tough Democratic field. 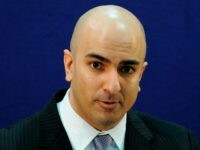 Former Republican candidate for California governor and current Federal Reserve Bank of Minnesota President Neel Kashkari gave a speech Feb. 16 advocating doubling-down on Obama’s disastrous Dodd–Frank law, which has made irresponsible “too big to fail” banks much bigger by crushing well-managed community banks. On Tuesday, Neel T. Kashkari, 42, who ran against California Governor Jerry Brown in 2014 and lost by nearly 20 percentage points, was named the next president of the Federal Reserve Bank of Minneapolis. 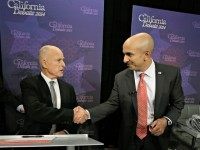 When Neel Kashkari made his ill-fated run for governor last year against popular incumbent Democrat Jerry Brown, many thought Kashkari’s real goal was establishing his statewide credentials so that he might challenge for Senate once one of the two long-serving incumbents retired. 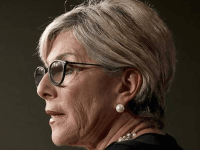 But Kashkari said this weekend that he would not challenge for the open seat being vacated by Barbara Boxer, according to the Sacramento Bee, meaning that no Republicans have yet declared for the race. 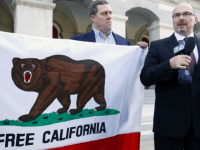 California Republican gubernatorial candidate Neel Kaskari outspent his rival, Gov. Jerry Brown, in last year’s unsuccessful bid for the state’s top job. Boxer’s Out in 2016. Let’s Get Ready to Rumble. 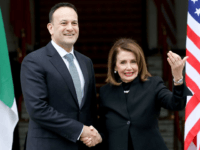 Boxer’s likely successor will be a Democrat, with members of that party who could be vying for that slot in no short supply. 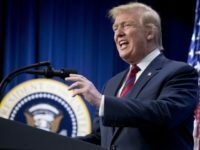 Yet while it will likely prove to be an uphill battle for Republican candidates, there are a few who might consider taking a stab at the seat. Here is a list of the top contenders.